Your VSTs are the best! Like a real guitar... like a real bass... It's incredible! Keep it up! 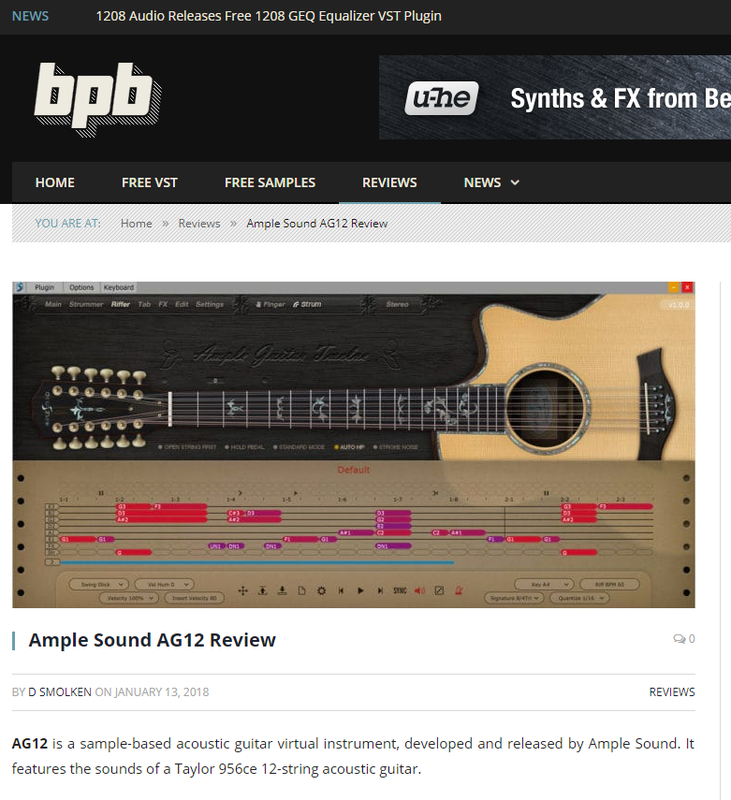 I had an installation problem today with the new AGM3 guitar, Some emails back n forward with amplesound support, very quickly answered. However I needed more help. They offered to teamviewer session, which I agreed and they subsequently fixed my install problem. I'm old enough to have dealt with enough companies and this is hands down, the best customer support I've ever experienced. They cannot do enough to help users. 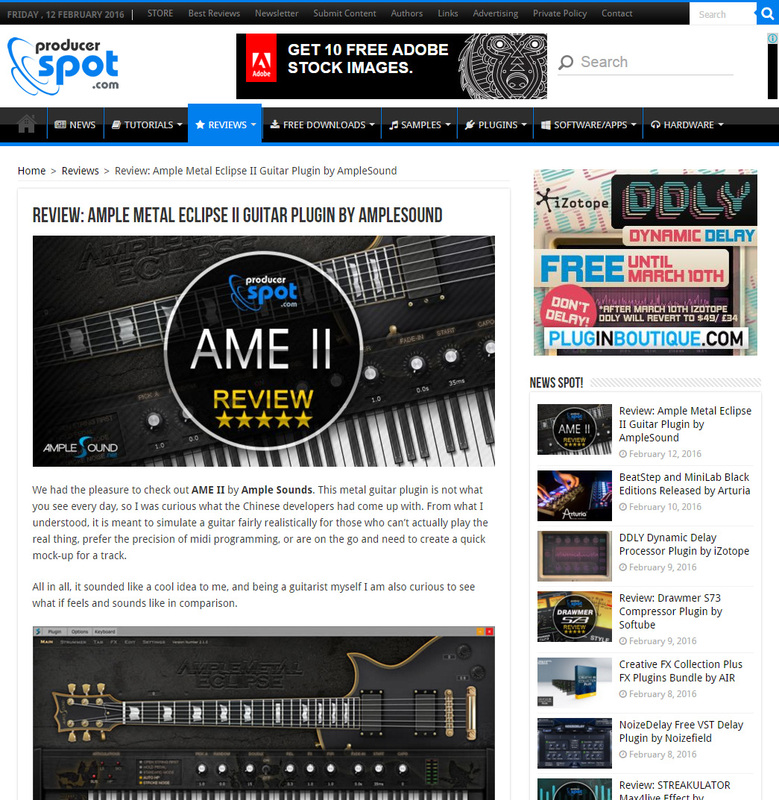 Their products are stand out the best guitar emulations on the market (and I've tried them all). 10/10 outstanding company. 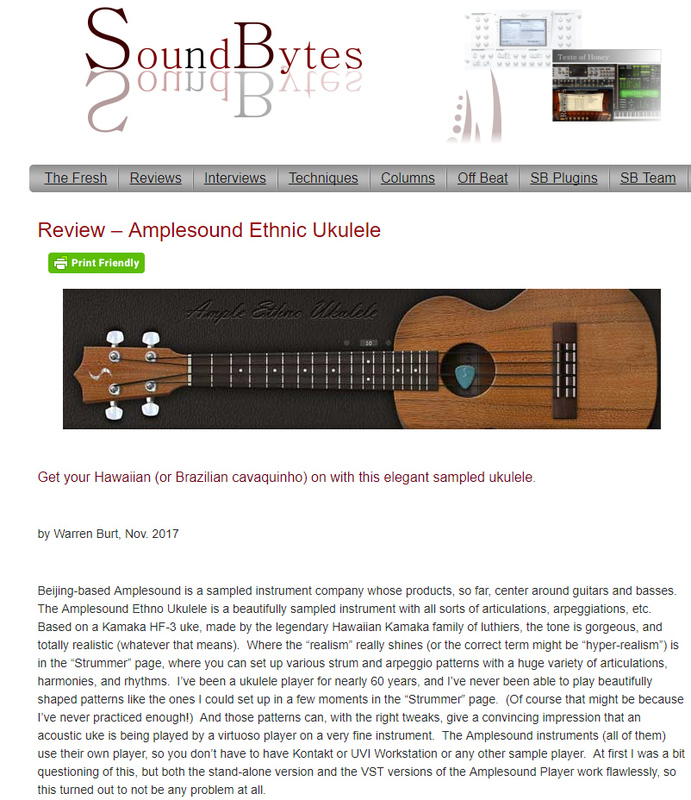 I have all the Uke VSTi's and AEU is by far the best (and really the only usable one). 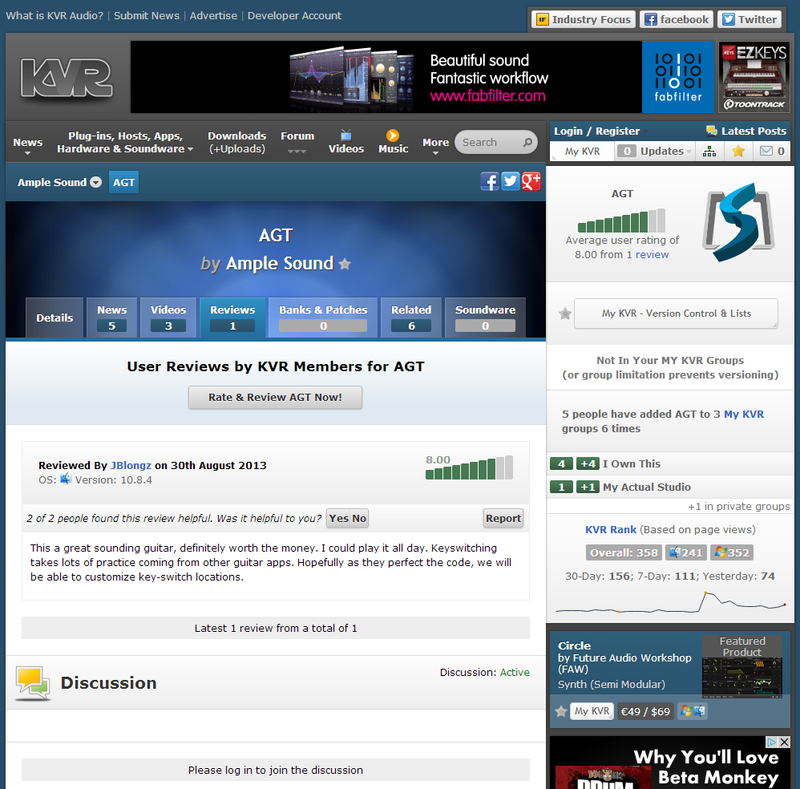 AEU has sweet and VERY pro sound. I have always loved every library purchased from this developer. They just seem to find a way into my cues. 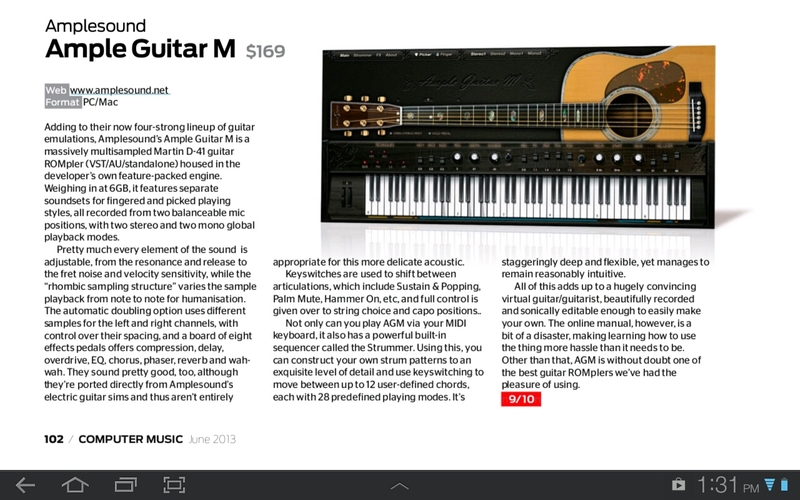 Looking forward picking this up. 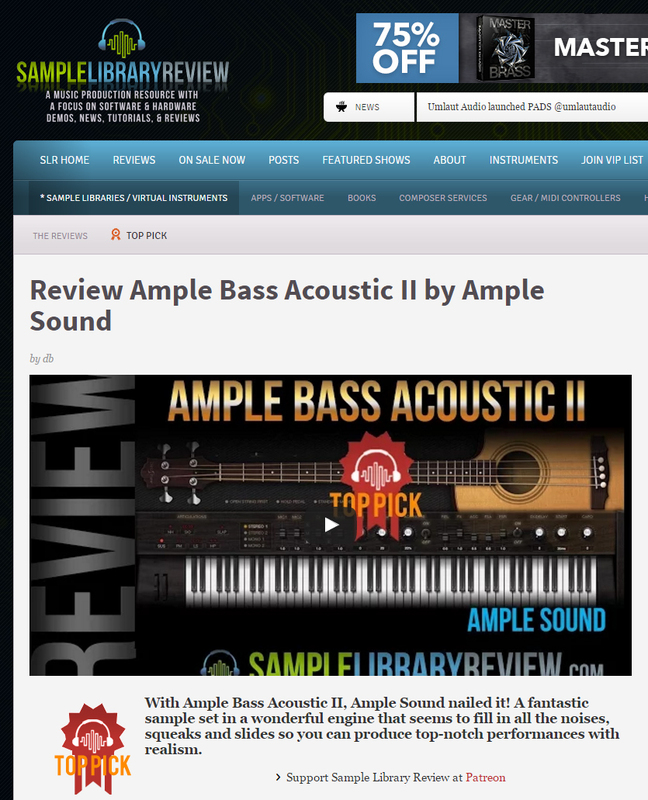 Thought I should give Ample Sound lots of credit for creating such authentic sounding samples. I never recorded this song, which I wrote back in 1981, because there were no "authentic" sounding guitar samples that I could use to recreate the sound on a keyboard. 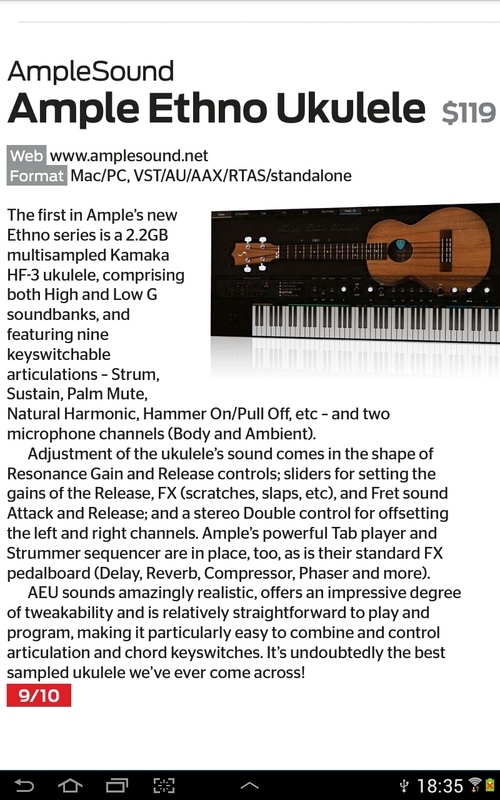 Thank you Ample Sound. I recently bought my first products from you and I'm thrilled! Thank you, it's a lot of fun and the result is amazing! Even though I am a guitar player myself. More electrical though. BTW, I like the videos from the Reverend very much. His voice and his way of talking is so nice and smoothing. 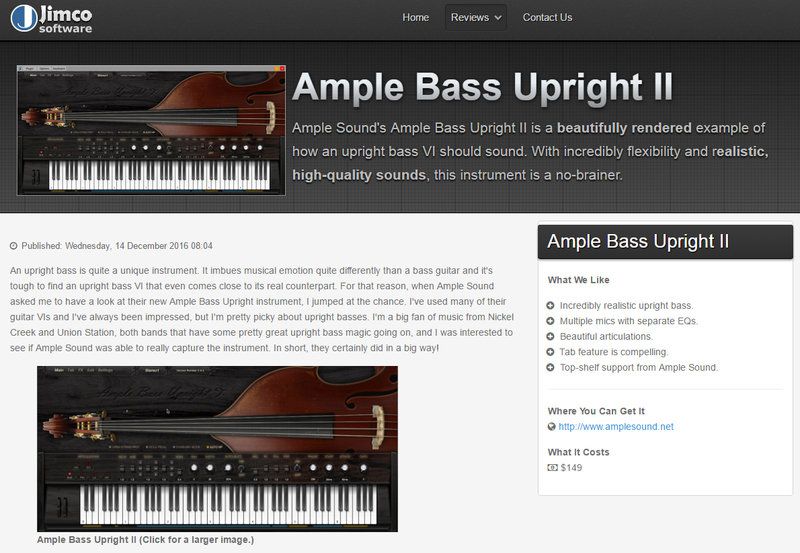 First I,ve got to say that your VST-Instruments are sounding amazing. 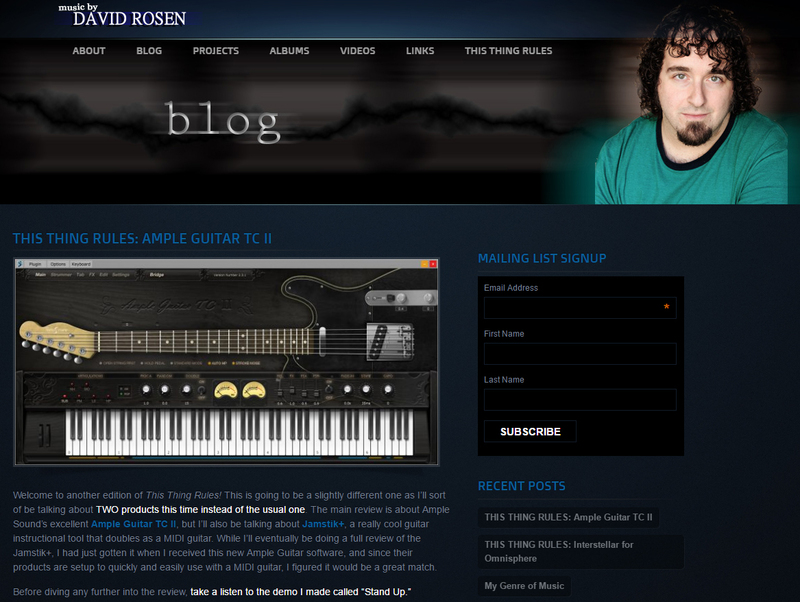 I am a Guitarist for over 30 years and I do my work with VST-Instruments for ca. 20 years. 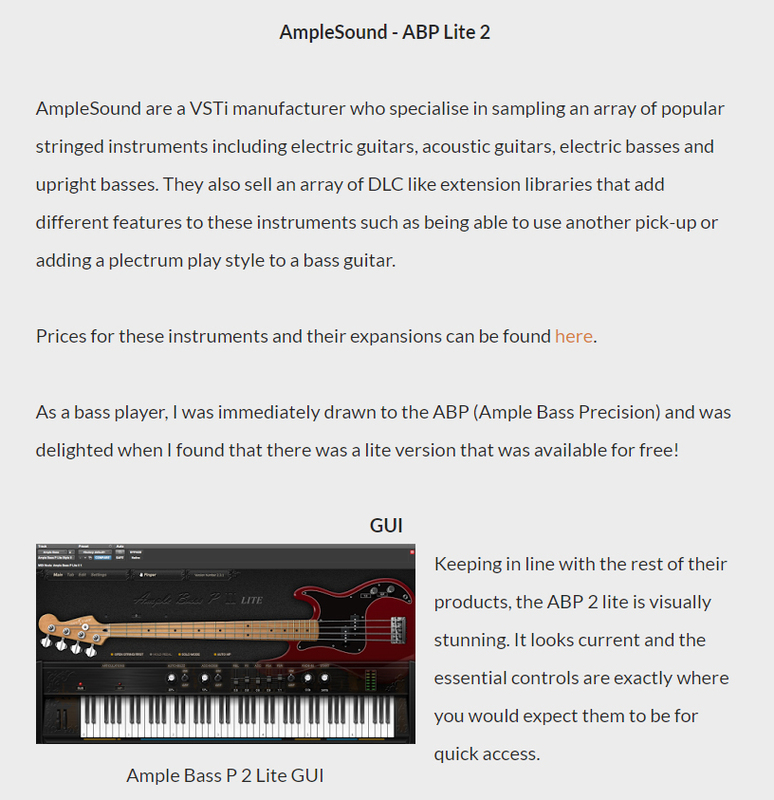 I tried a lot of different virtual Bass-Plug-Ins but I've never found a Bassinstrument wich Sounds like a real Bass-Guitar, til I found your ABPL2. 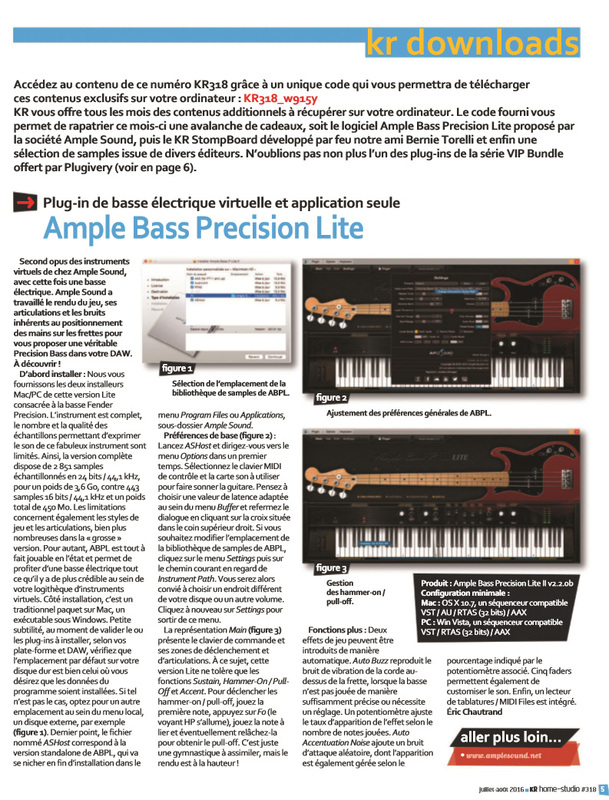 A lot of VST Bass Guitars, sounding like a Piano when you turn them to Slap-Playing near the Bridge-Pick-Up or destroying the Bass Drum with the deep Frequenzies. 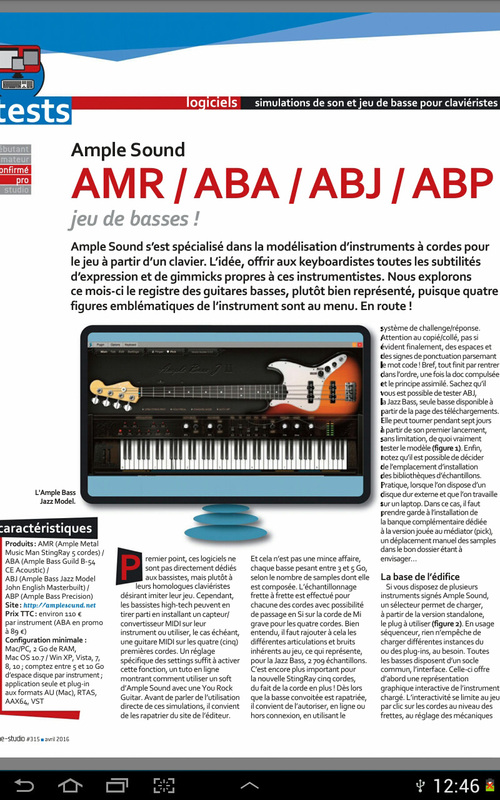 ABP can be handled like a real Bass Guitar and I won`t miss the VST Instruments in my Songs anymore. 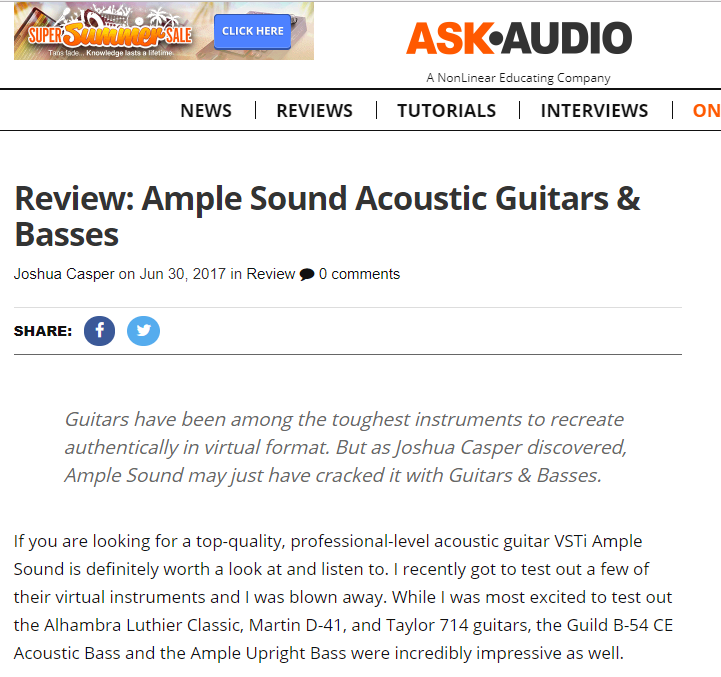 Thanks for your superb acoustic basses! 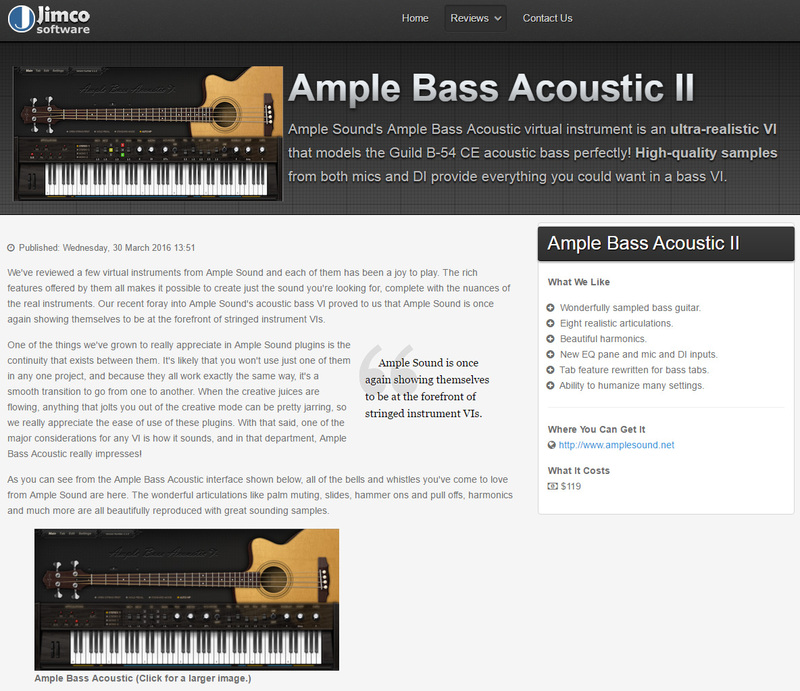 I wanted to email to say thanks for developing two great acoustic bass libraries that I've just purchased. I'll no doubt be buying more libraries from you in future as you have created a sophisticated yet simple interface, and the instruments have an authenticity. 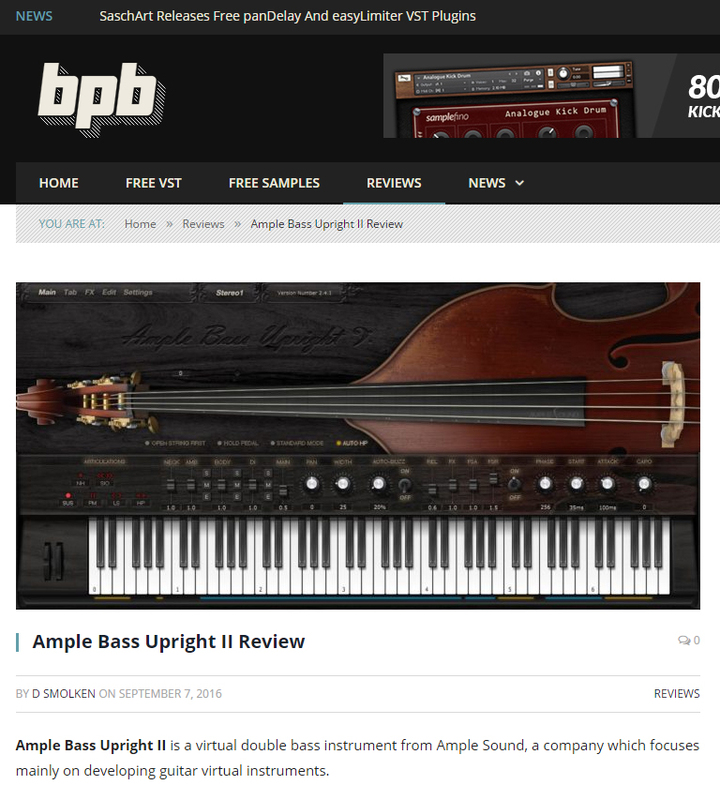 I do consider you offering the best virtual basses, for any kind of genres. 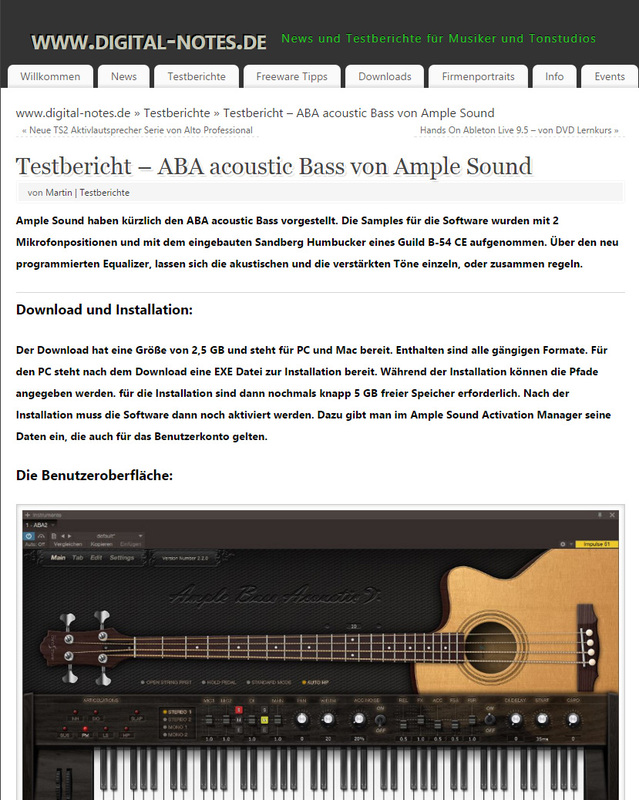 And I have tried many virtual instruments and none of them provide the realism of your instruments, not to mention the fact that your basses are native and fast to load and use. I love the sound of my Ample Sound guitars, especially the Alhambra Luthier and the Martin D-41. They are the best on the market. Thanks and congratulations for your efficiency, responsivity and of course for the wonderful quality of your products. I use them every day on CD projects and even the other professional guitarists are misleaded, thinking they are real guitars. 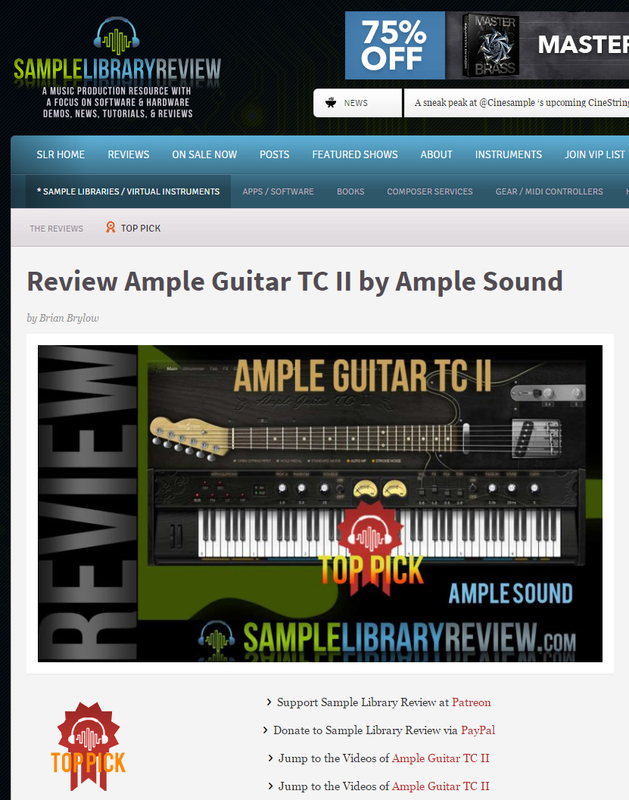 Ample Sound make the best virtual guitars I've ever heard - every time I use them, they blow me away - I'm sure this one(AGTC) will be no different. I've been playing guitar for 9 years now. Honestly, you guys are the real deal right now in terms of realism in sound. Truly THE most realistic I've ever heard so far. Keep up the fantastic work. 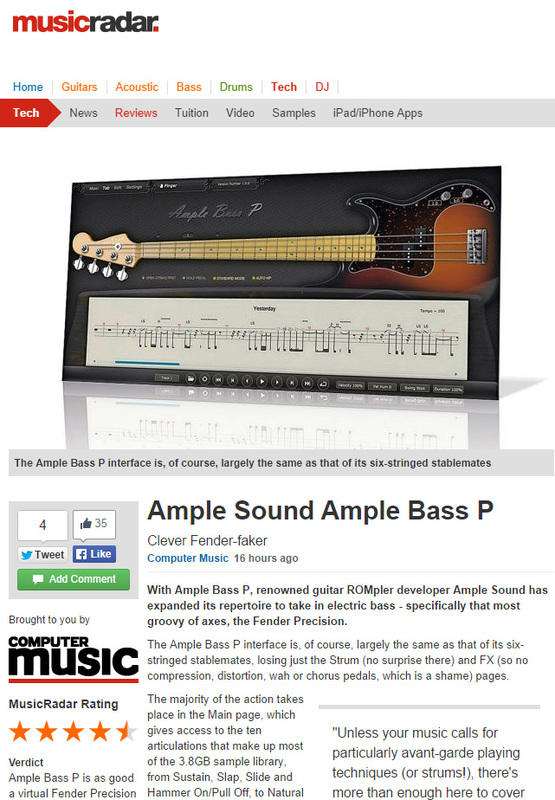 Lately I bought the Ample Fender Precision Bass, and I am delighted with that VST. It has the sound I was looking for...a deep bass sound..out of the box! 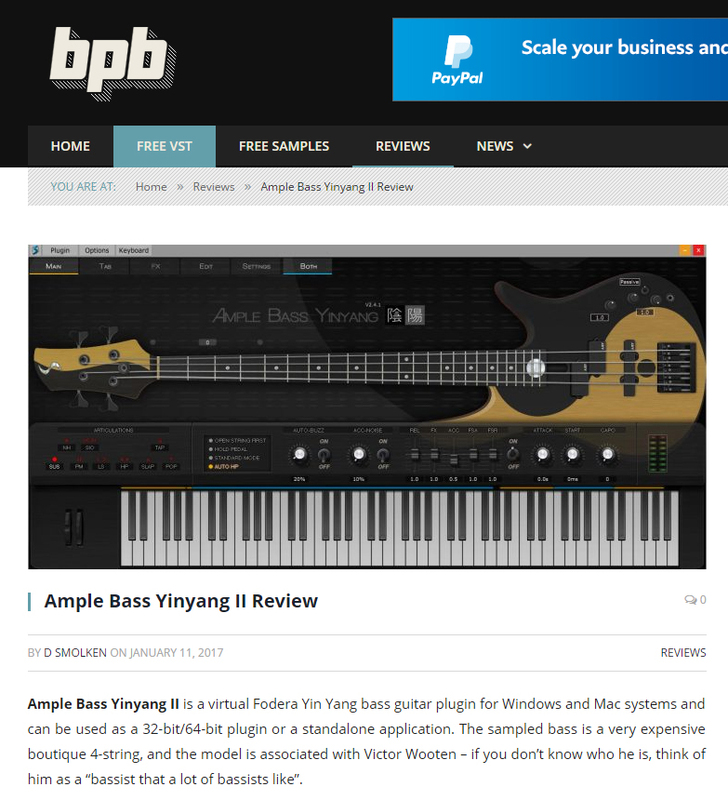 I've been using VST for many years now, and this is the best sounding VST bass I have ever heard. 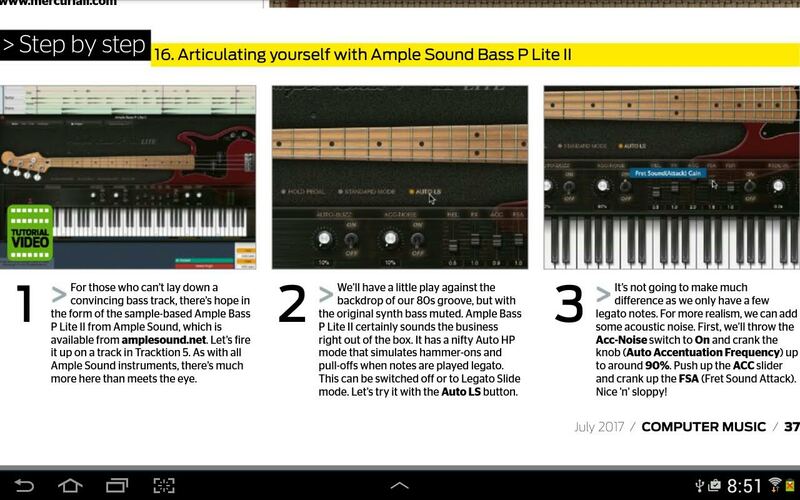 I was using a Bass from Native Instruments until now. 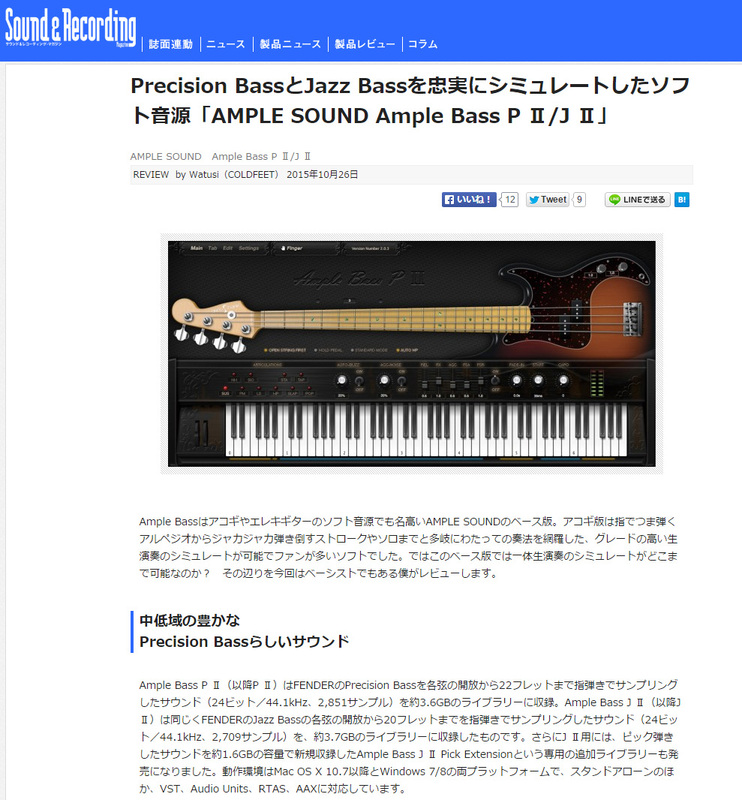 But Ample Fender Precision Bass will be my new bass sound. Congratulations..this is a great product that I would recommend to anybody. I LOVE your sample libraries, by the way! They are VERY well recorded and programmed! 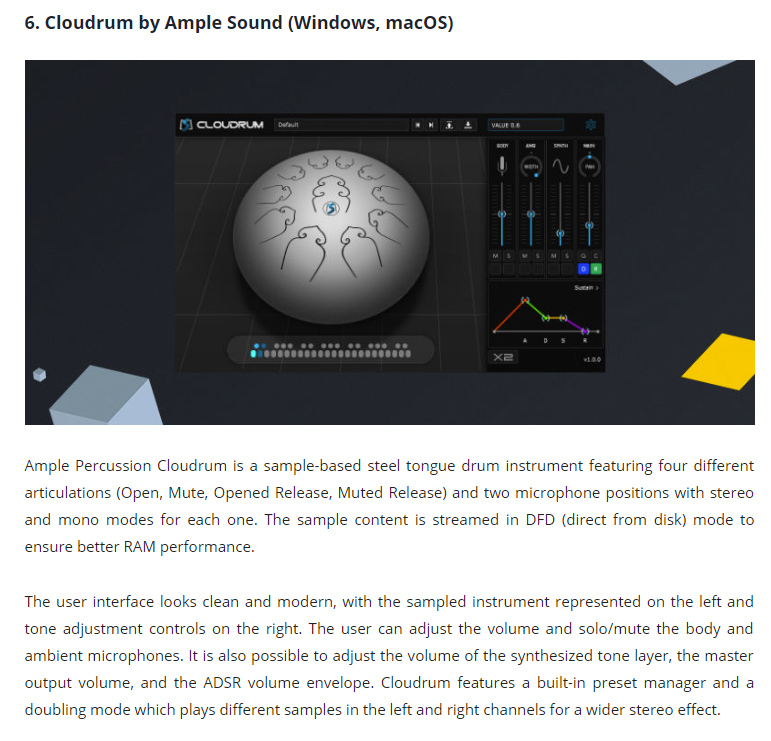 I would first like to thank the people at Ample Sound for creating these incredible VSTs. 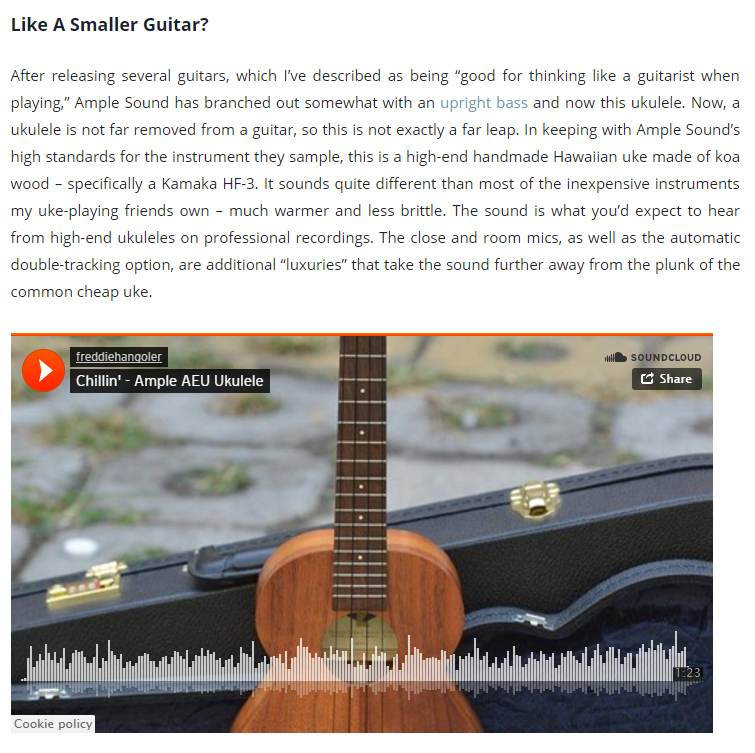 I have been a guitarist for more than 40 years, but peripheral neuropathy has limited my guitar playing and I thought I would never find any VST realistic enough to go in my music. I was wrong. 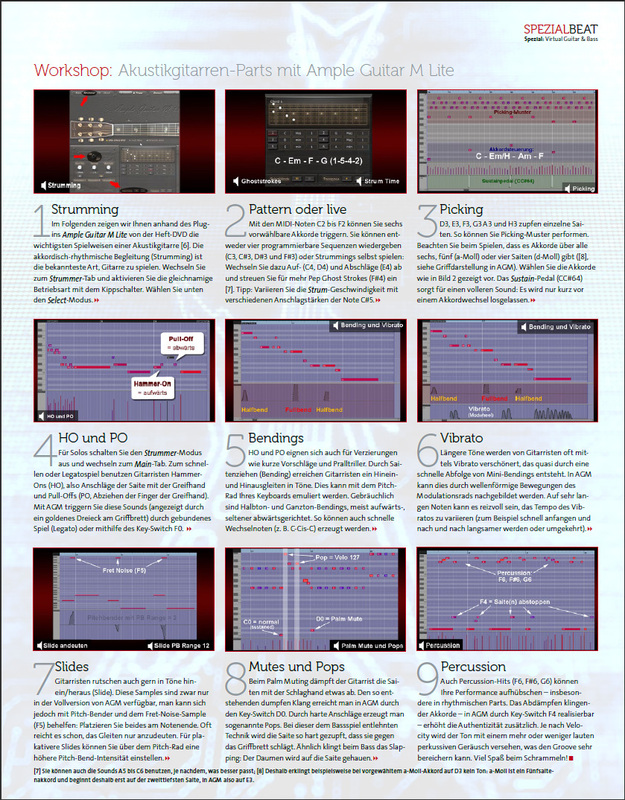 I initially downloaded the free Martin Light VST to try out and instantly fell in love with it. 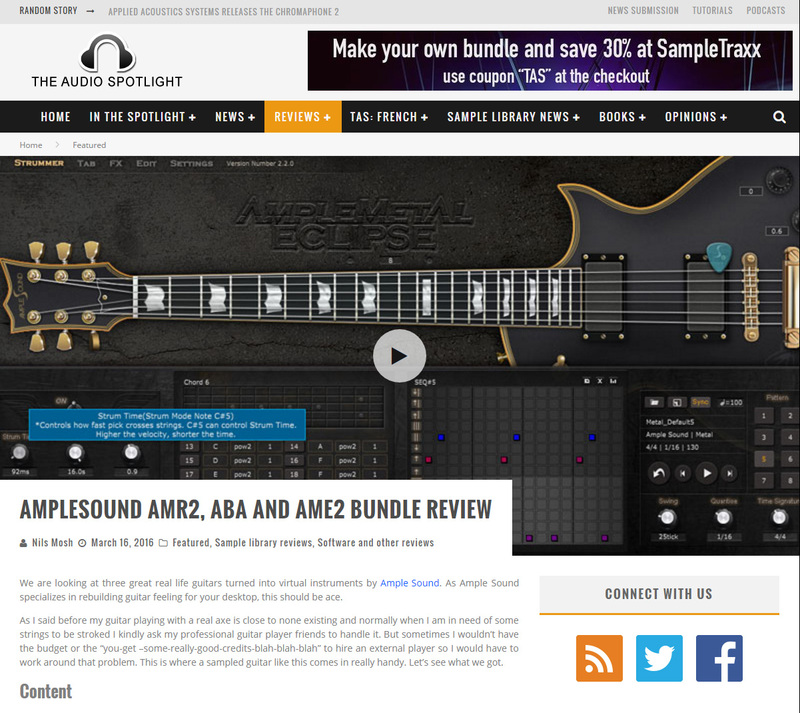 I couldn't wait to get more, so I purchased and downloaded seven more of your guitar VSTs and love every one of them. 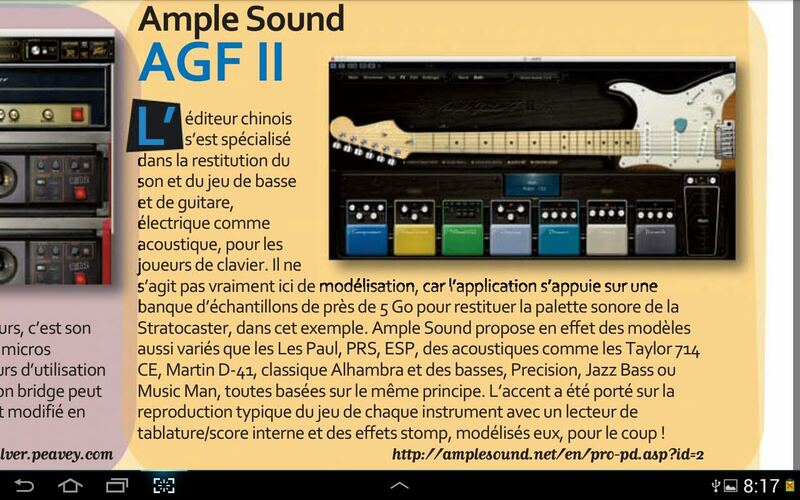 I just what to say huge thanks for your amazing production, your plugin guitars are BEST in the world! Wish you keep going so incredible and powerfull in quality next year! 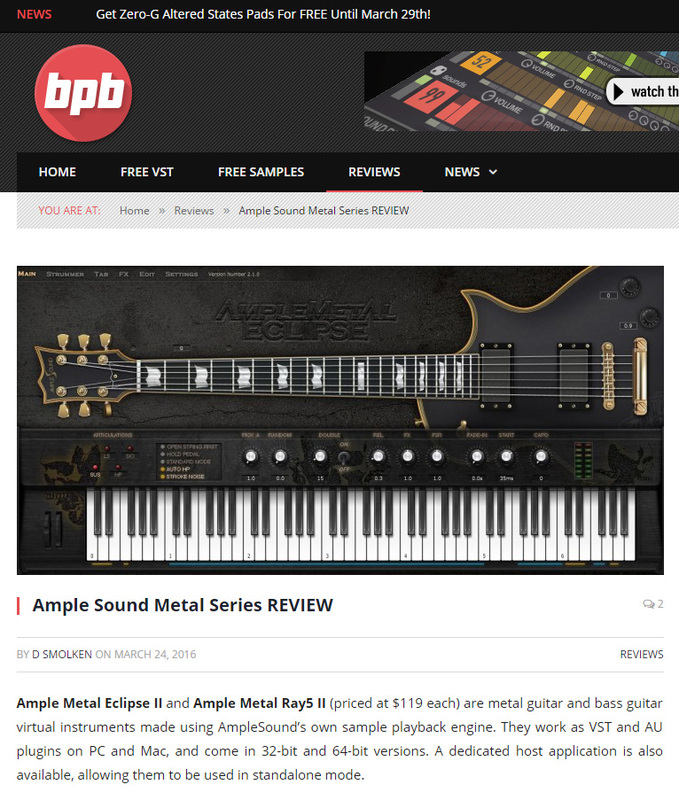 ABP is phenomenal. I can finally play lead bass lines. 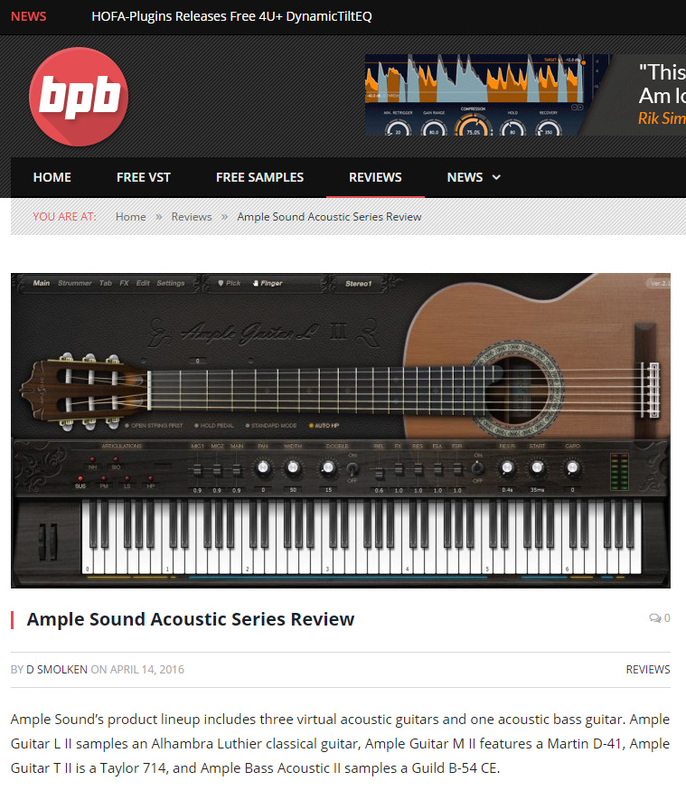 I never thought I'd need to replace Trilian, but ABP is more than just a bass solution--it's a charger character in a musical story. What you have done with Guitar Sounds is a dream come true, especially for me that I play guitar, I do very little but very good in that very little. 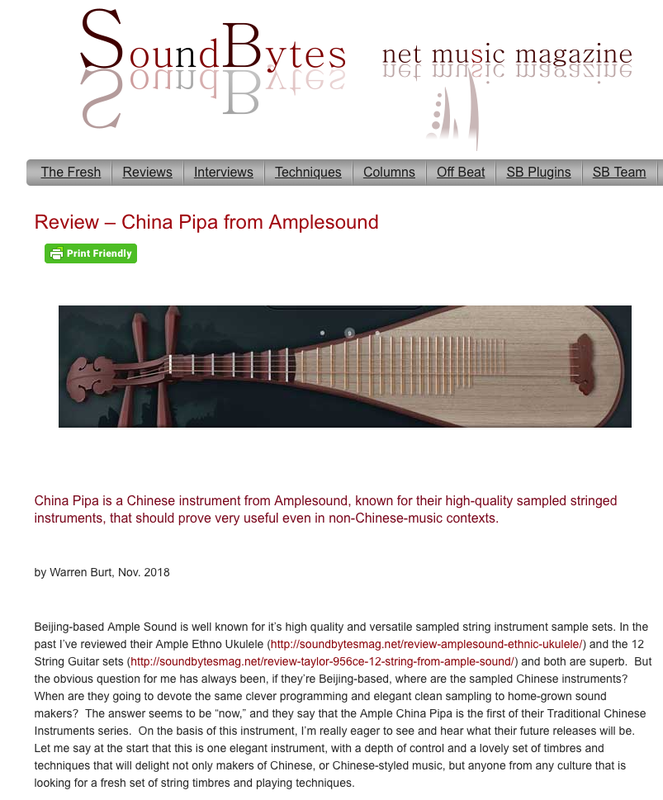 Ample Sound opened me the chance to do very well all the rest I have not the hand skills to do. 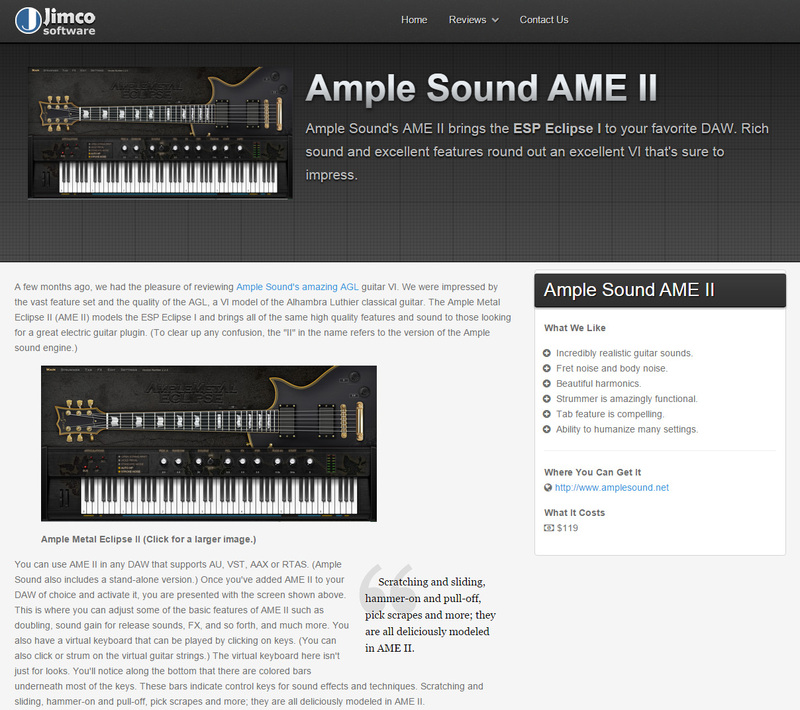 1000000 thanks to Amplesound to have made my old dream a reality. 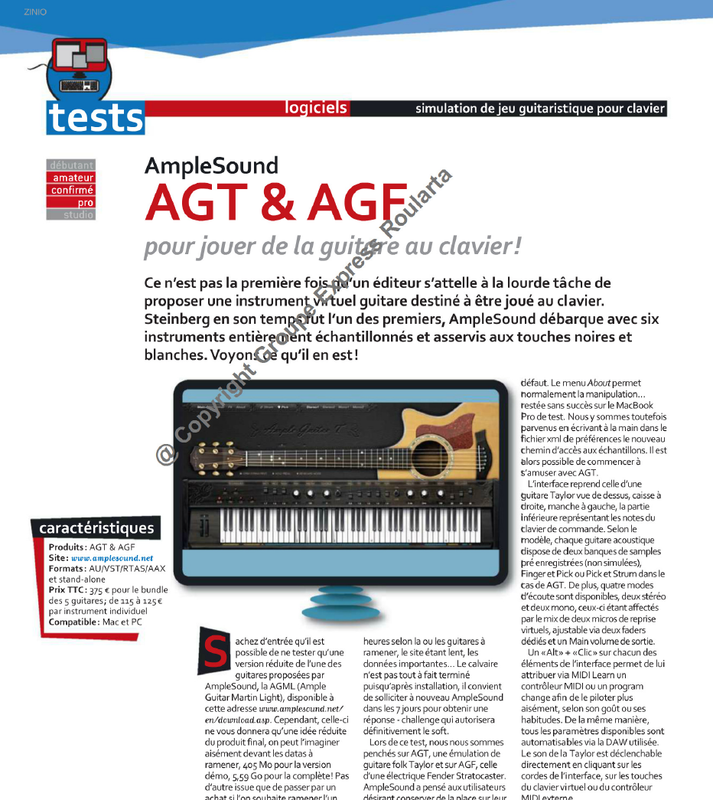 Amplesound asked me to send them my midi and DAW files with chords edited note per note in the piano roll, and sent me back the files, after having recreate the first chords with the strummer. You can't expect a better customer service. 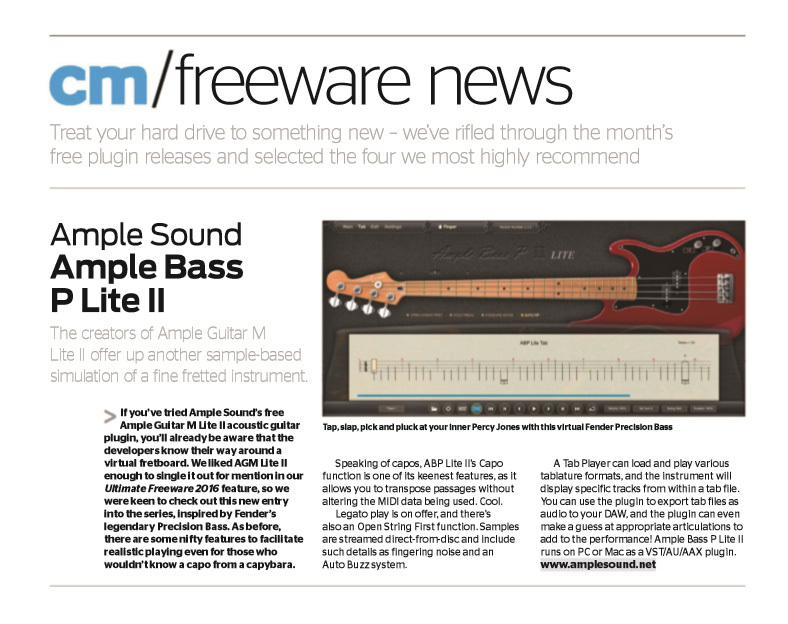 Amplesound guitars shows the best possible combination of raw samples and smart algorithms to make a chord sound like a real guitar chord, without needing a 100 Giga data bank. I have recently bought your complete guitar package. 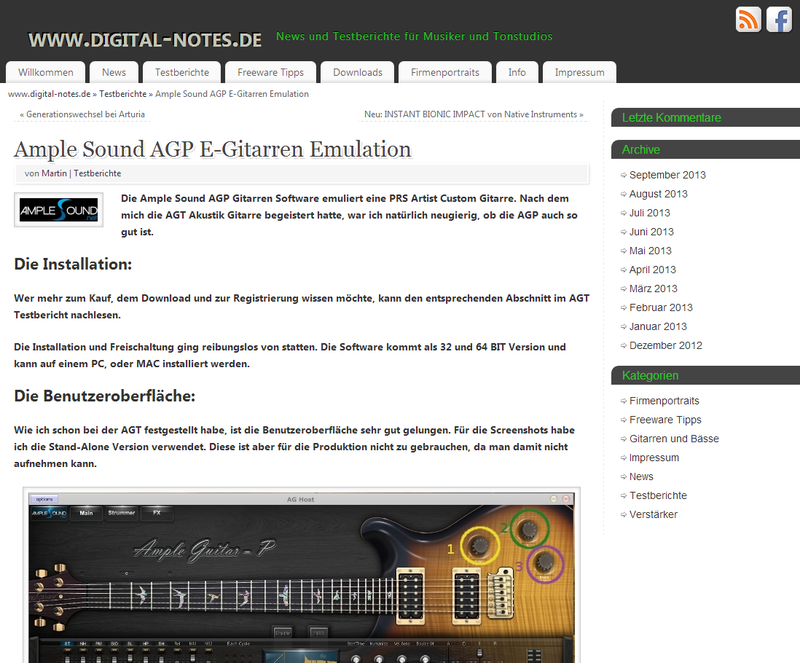 They are no doubt the best guitar simulations packages anywhere (and I have most VI guitars available). Very impressed indeed. I am still getting to grips with the controls, but on the whole they are easy. 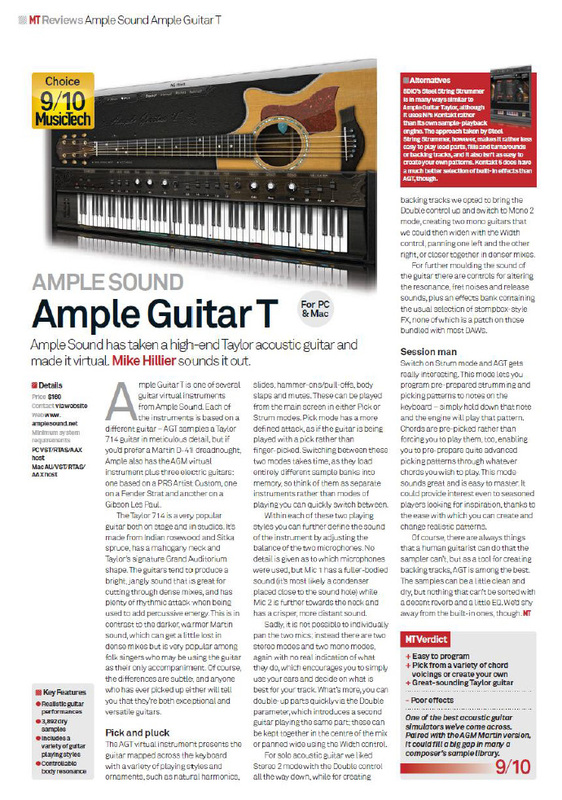 The strummer feature is by far the best I have ever had the pleasure of working with. I'd like your company to know that I always recommend you guys not only because of the great products but the tremendous customer support. I've been a record producer for over 35 years, a professional songwriter, musician, entertainer, singer for close to 60 years. 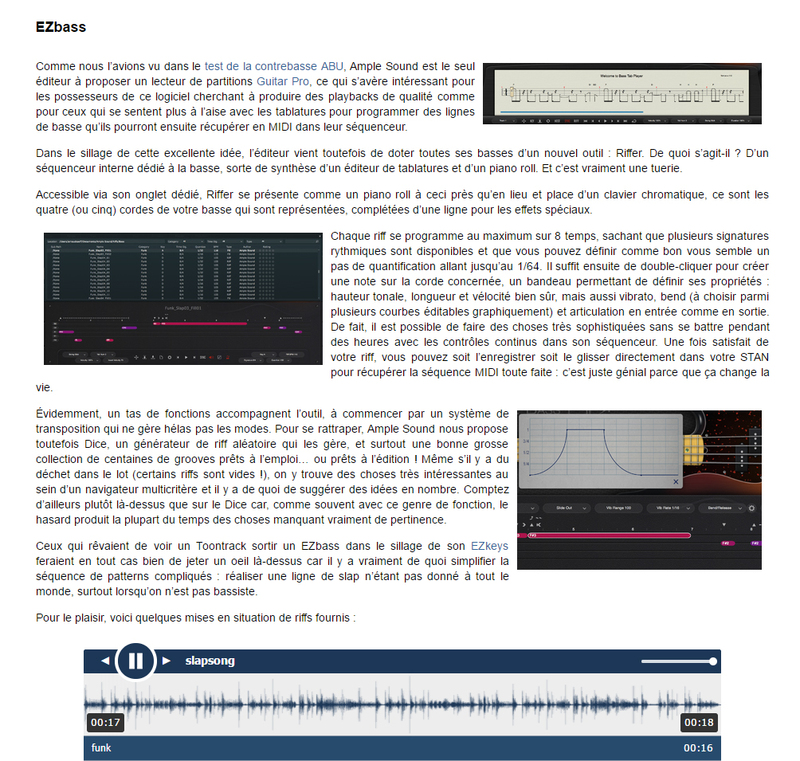 I teach my students keyboards which then enables me to show them how to use programs like yours to still produce very real tracks of guitar without having to learn guitar. 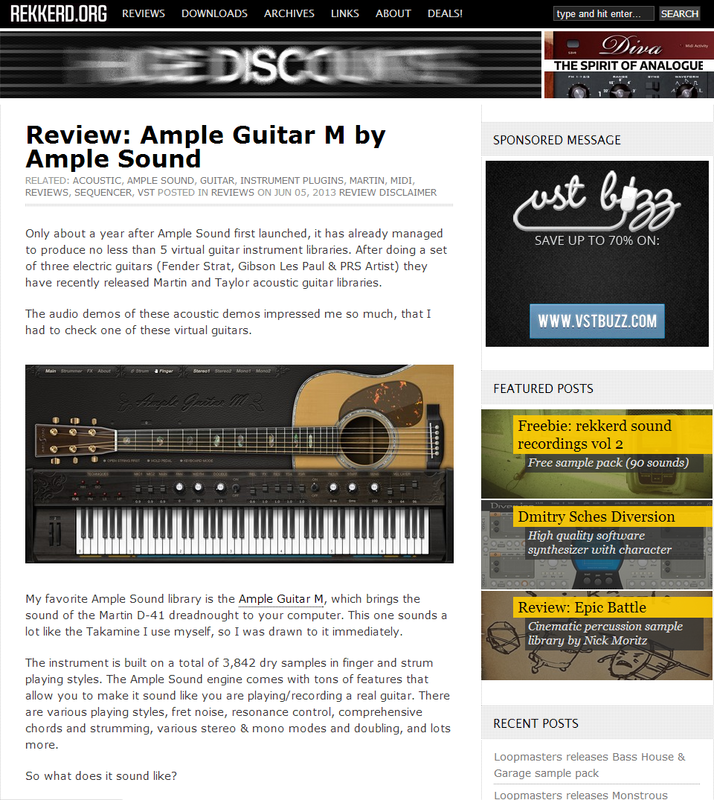 They love it and many of them buy Amplesound guitars. Just wanted you to know. I not only use your products but I'm a fan of your company. I want to thanks AS team by this great guitar instruments they bring. I started with the 3 acoustic and the feeling was so amazing in my hands, that in a week I bought also the 3 electric guitars. That was just days ago and then I recieve the AS email with the new II version. To me this is a dream come true. I've seen some others, but AS sound is 100% amazing. I am going to be all my life AS client. 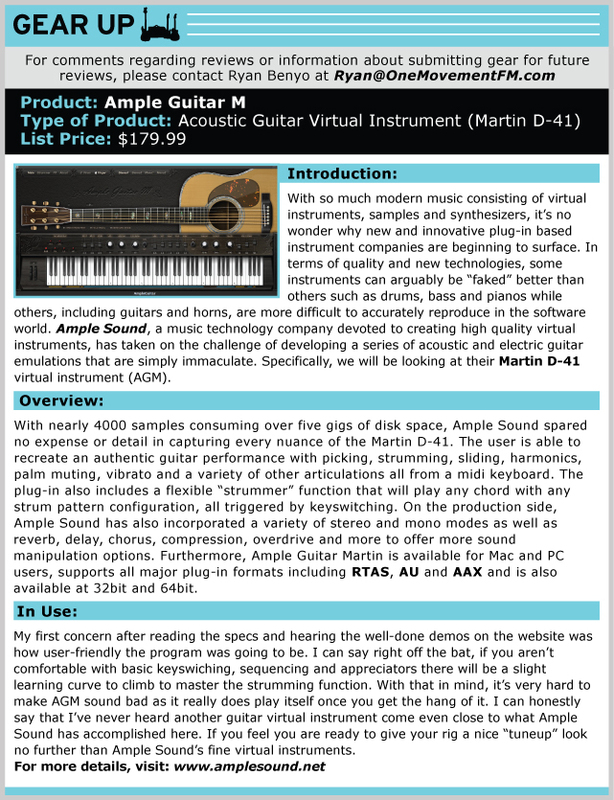 Best Guitar virtual instrument on the market. 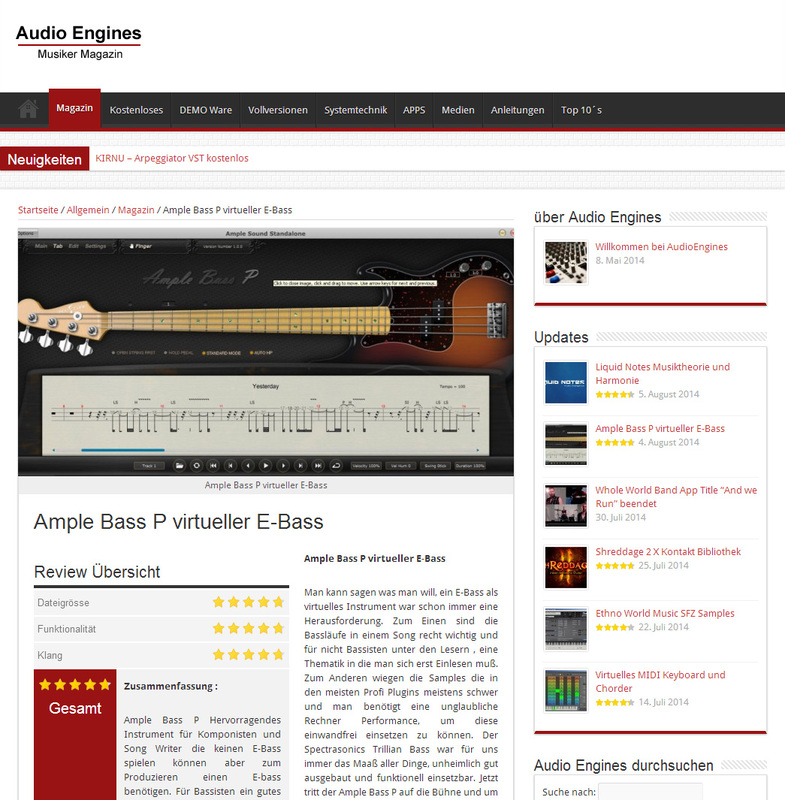 Easy to understand instrument with great video tutorials and by far best service. 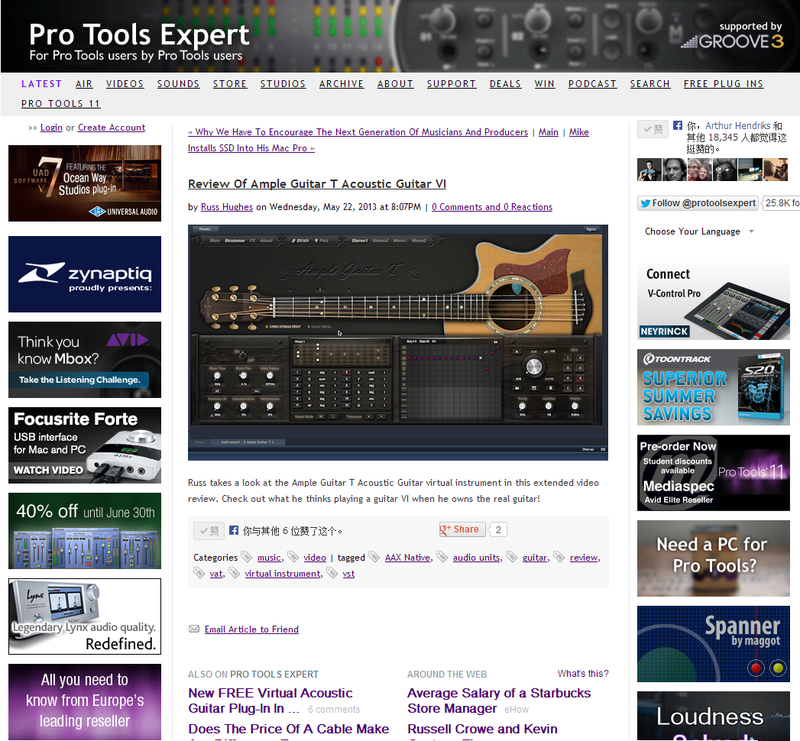 I know I told you before, but I rarely encounter plug-ins of this quality. I have a BA in sound design, and I can tell this is really really well done. Obviously creating this took you a great amount of time, skill and passion. The quality and usefulness is superior. I see a bright future for your company. My gratitude. I just wanted to let you know that this is by far the BEST Bass VI on the market! 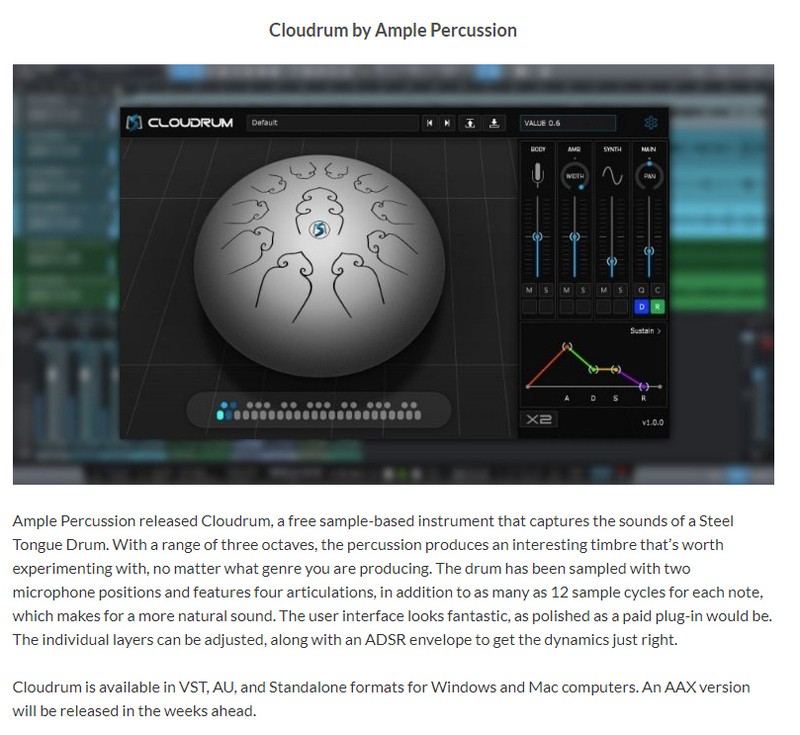 I am so very impressed with this that I've been telling all of my composer friends about it and encouraging them to purchase it. I just finished recording a project for Tokyo Disney last week in Orlando, Florida and I wish I would've had this bass! But know from this point forward that the Ample Bass P will be my ONLY bass guitar! On top of having a great product, it is refreshing to have great service from a service provider. I have not been able to stop using AGG and AGM since I purchased them. The authenticity is absolutely amazing. I have a lot of other guitar VSTis. While these products are very good they do not offer the range-of-expression and ease-of-use your products do. I was actually able to fool a guitarist with studio playback the other day. 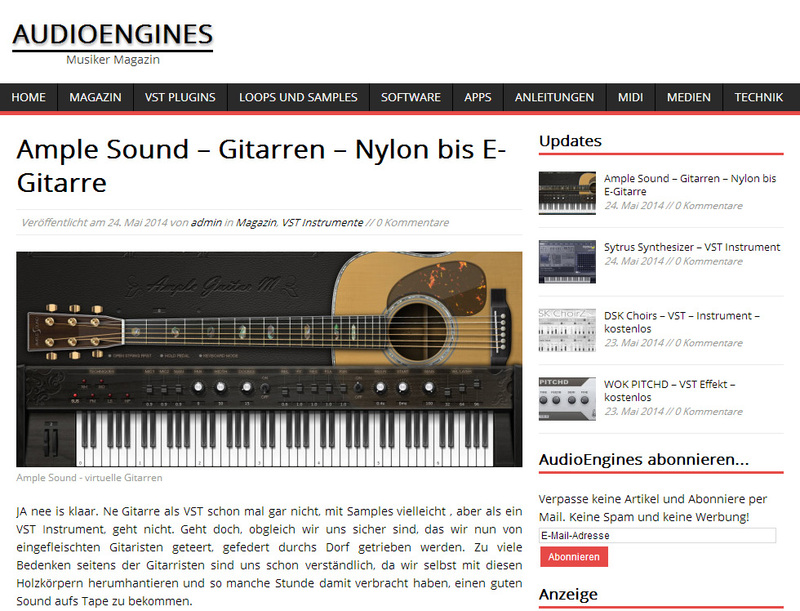 Your guitars are the first that have gotten the interface right. I really like that you can set it so that it performs like a real guitar. 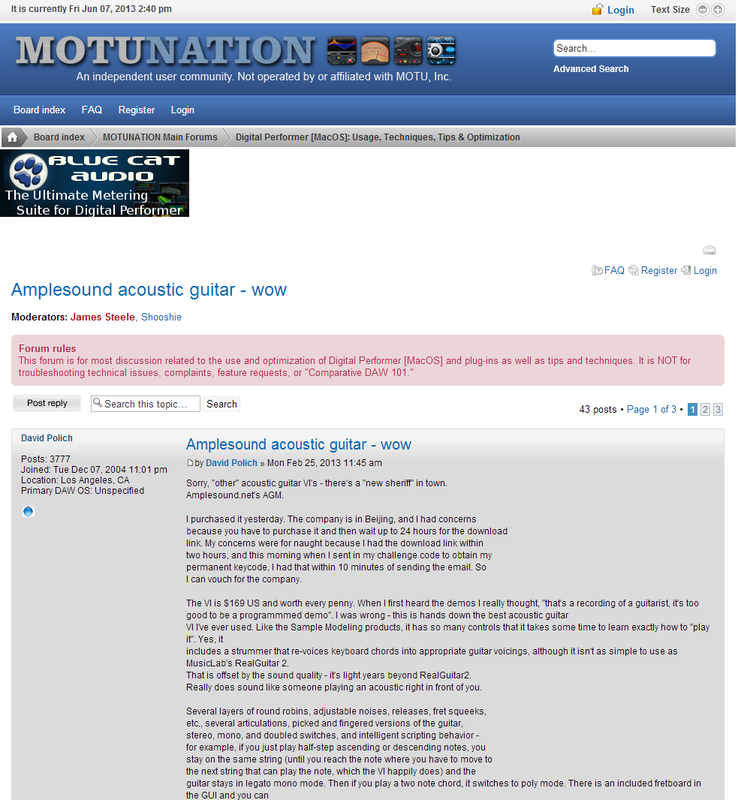 It won't allow you to do things that other guitar vsts allow you to do and as a result, sounds more authentic. Although it's nice for some that you have a keyboard mode, for me it has to be something that can actually be played by a guitarist. 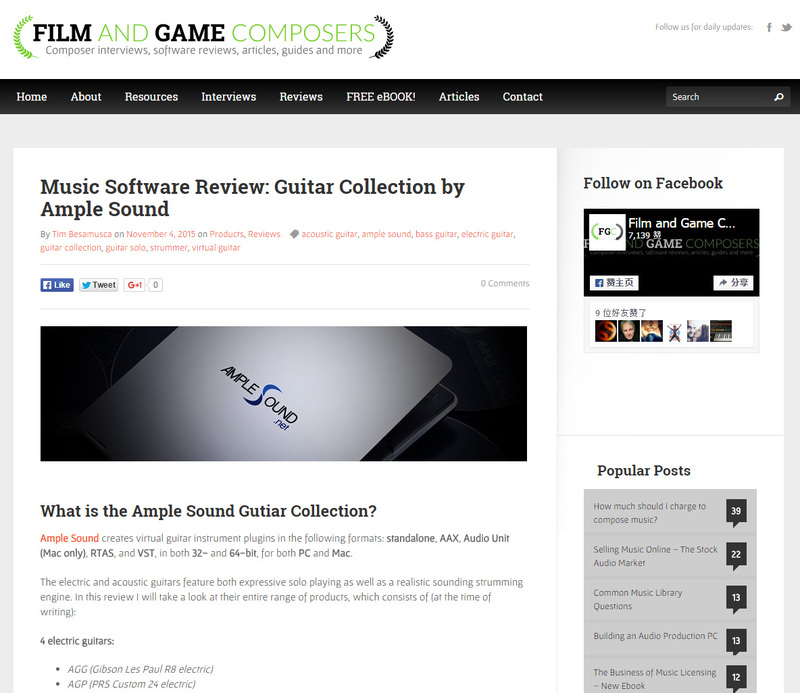 I'm a composer and when I write for guitar, I write traditionally with music staff. 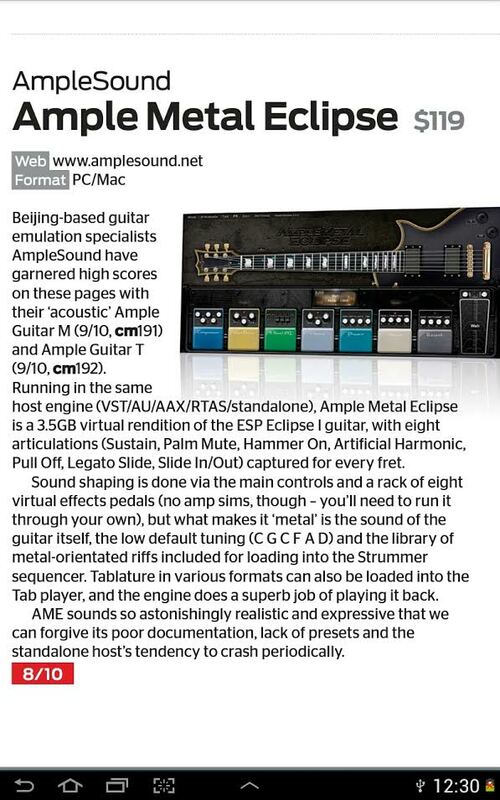 The import feature for tablature also was a main selling point for me. Great job! I do want to thank you for your prompt attention that I recieved in resolving my numerous E-mails. Your level of promptness and attention were indeed remarkable! In this era of "Sorry about your luck" mentality of the majority of our business's in today's world, it was surprising and refreshing to work with your team of truely dedicated professionals. In todays world, people like to be different and noticed. As long as you continue to maintain your professional and ethical standards that you presented to me, your company will truely be "different and noticed"! 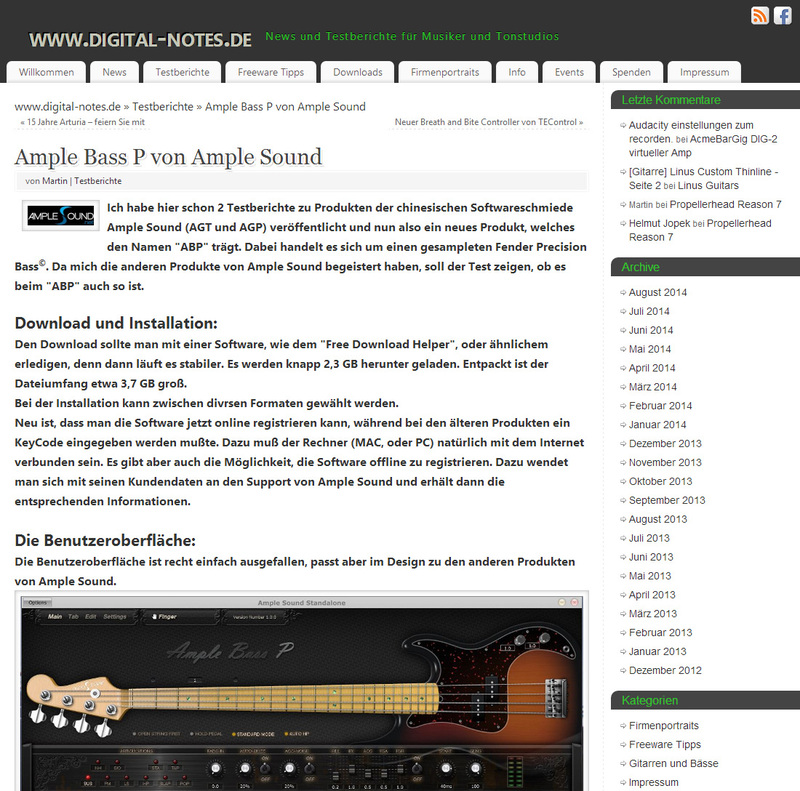 Just let you know, this is the best guitar software I have ever come across. 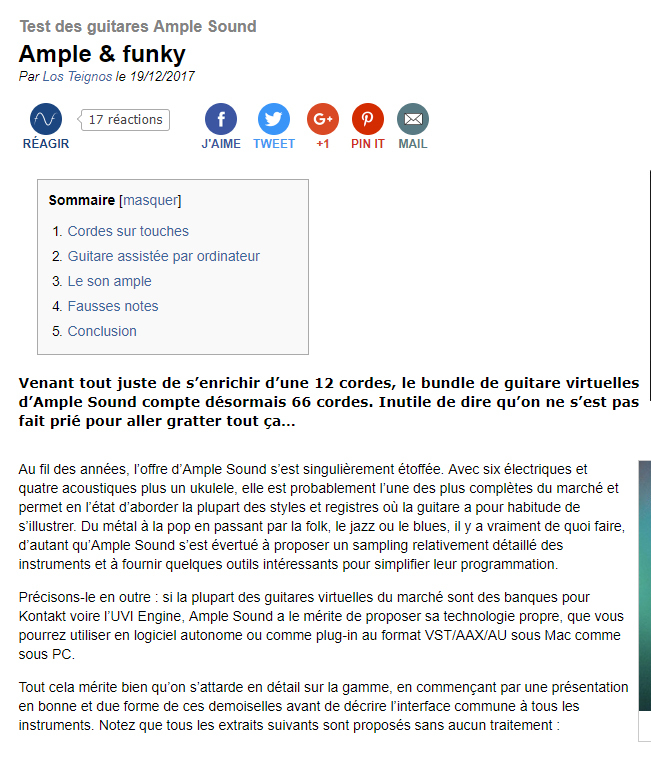 I did a backing track with the AGM, and a pro guitarist counld't tell that I didn't actually play the guitar on that track. Awsome! This is the most amazing product. 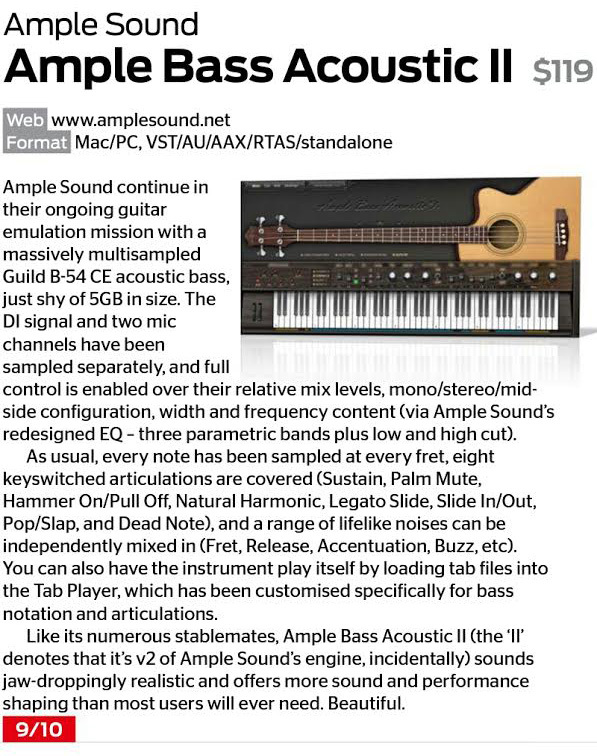 I have been wanting a logical interface for guitar for years, this is a prayer that has been answered. Thanks so much. It has priceless value. 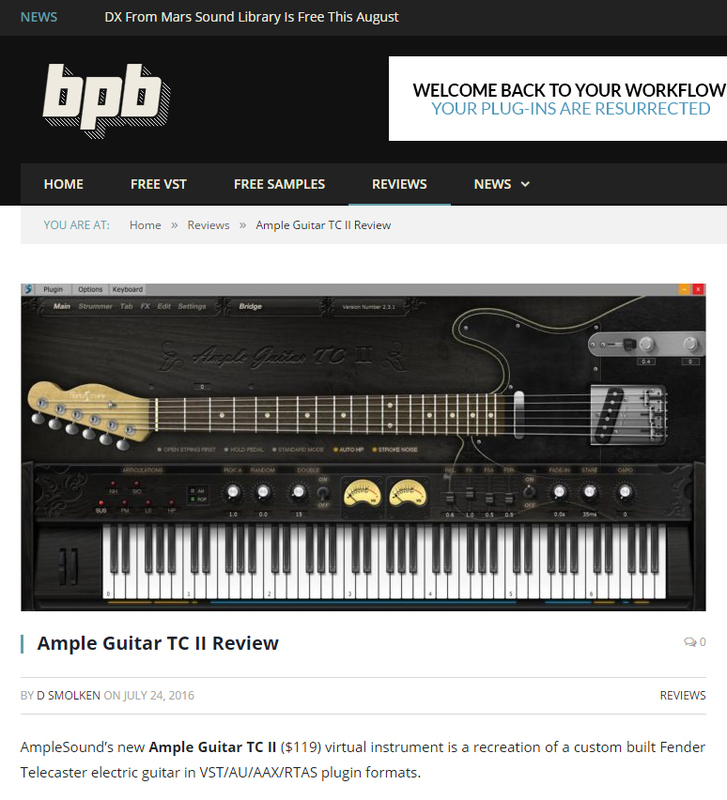 Your virtual guitars are clearly the best, and it's not close. I'm very excited to use them... Keep them coming! 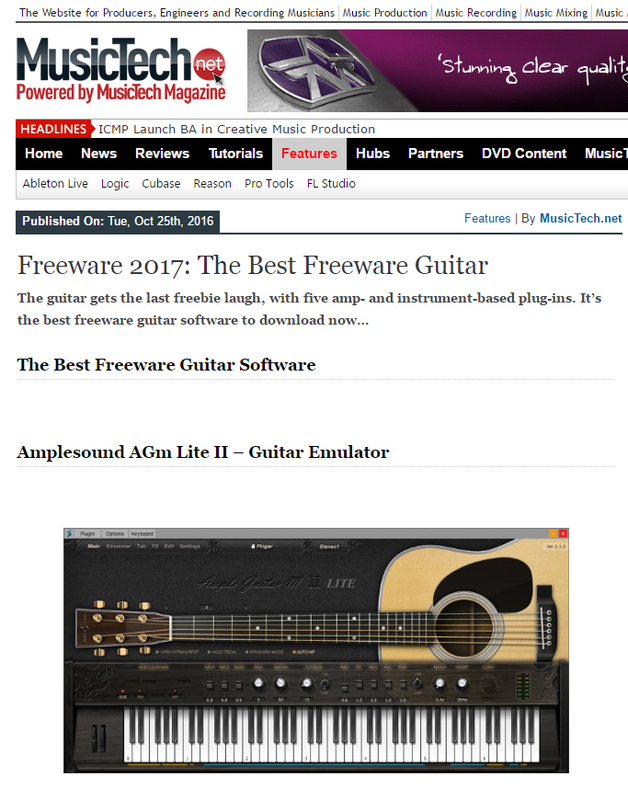 A few months ago I started using Ample guitars and they are definitely the best virtual guitars out there today, especially the acoustic guitars. 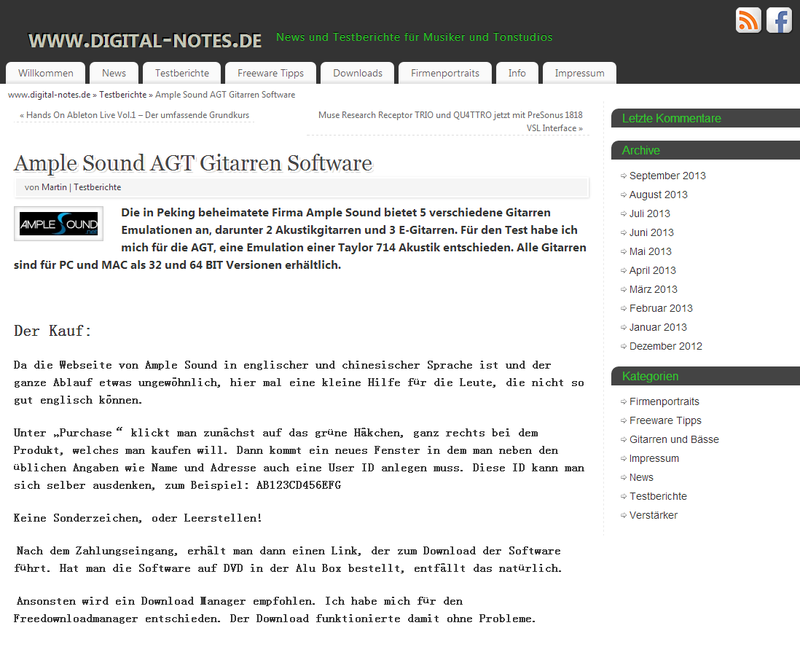 As you might remember I told you that I am a blind person so I rely on screenreading software to access my daw and all the plugins I use... Once again thanks for excilent products. 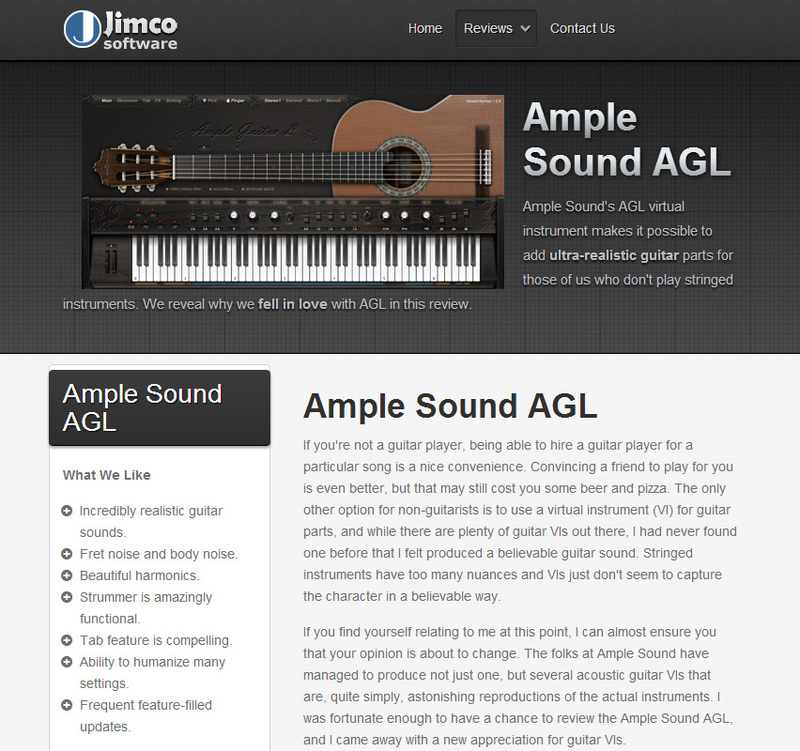 I am long time user of RealGuitar, Chris Hein, EWQL Gypsy etc. Just so you all know, you have incredibly hassle free customer service :] Keep up the awesome work and products. These are the best guitar VSTs I've ever heard, bar none. Nothing even comes close. And I work as a producer for a living... So I don't mess around! After just a couple days playing with AGT, I can only say it's truly wonderful. 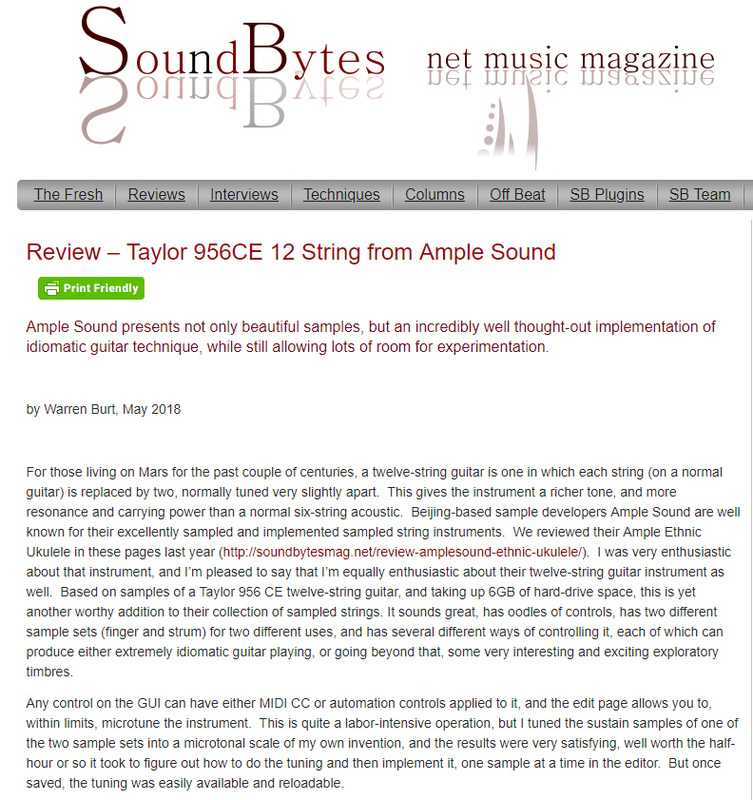 You folks have done an exceptional job of sampling, but also making the software intuitive and easy to use. 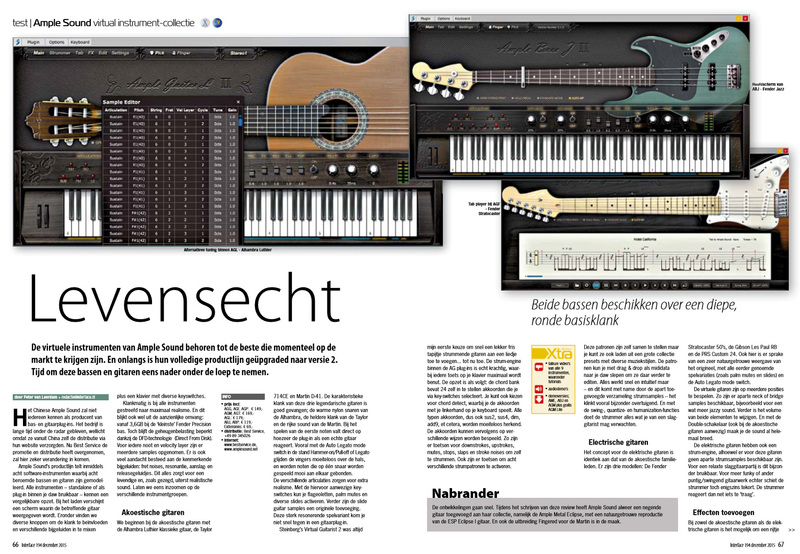 The strumming sequencer is, without a doubt, the best and most realistic I've ever used. I can't get over how amazing it sounds. I'm a guitarist and it used to kill me to get a good recording of my acoustic. I tried many different techniques, mic placements, etc., but never got the sound I wanted. Fortunately, you've come to the rescue. I've been just through a one hour test with the AGT and all i can say is "woooowwwwww". 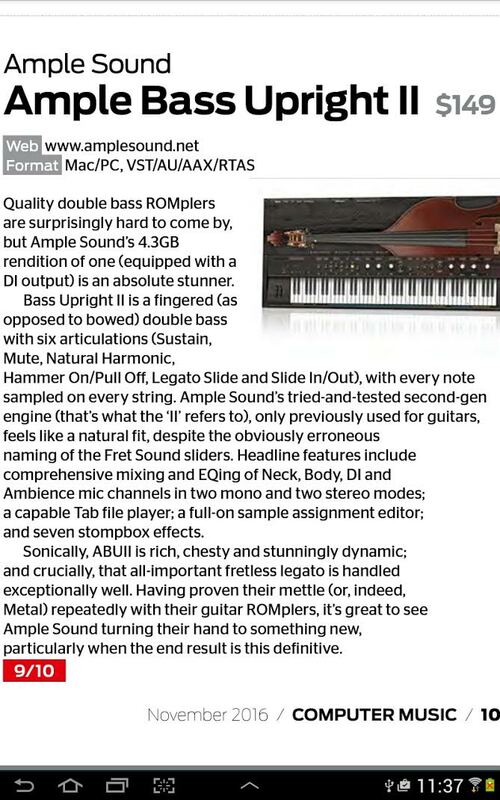 I've never heard and felt such a perfect quality since Steinberg released the Virtual Guitarist 2. Now I know it for sure, I must have all of your stuff. This is the way it should be and it makes my production come more alive than ever before. 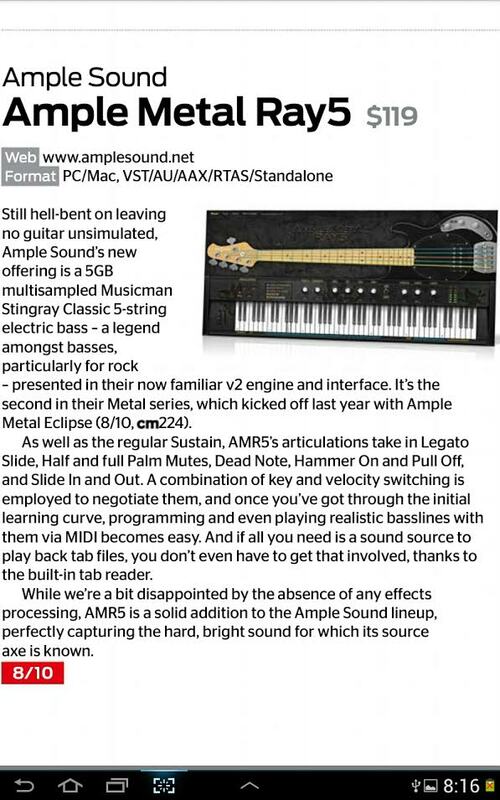 "Amplesound" you are the greatest. I'll spread this information about your products as quick as i could into my network. I would just like to say that AGT is fantastic. 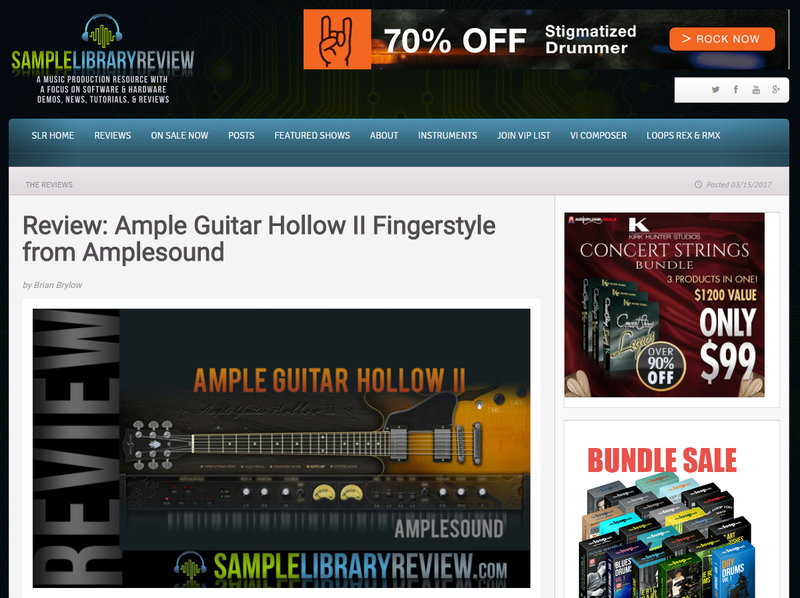 Iv'e used it a number of times, and it is by far the best guitar software out there. You already convinced me of a beautifully crafted product. will mention that in forums too. Have a disability in some fingers and can't play guitar as it should. 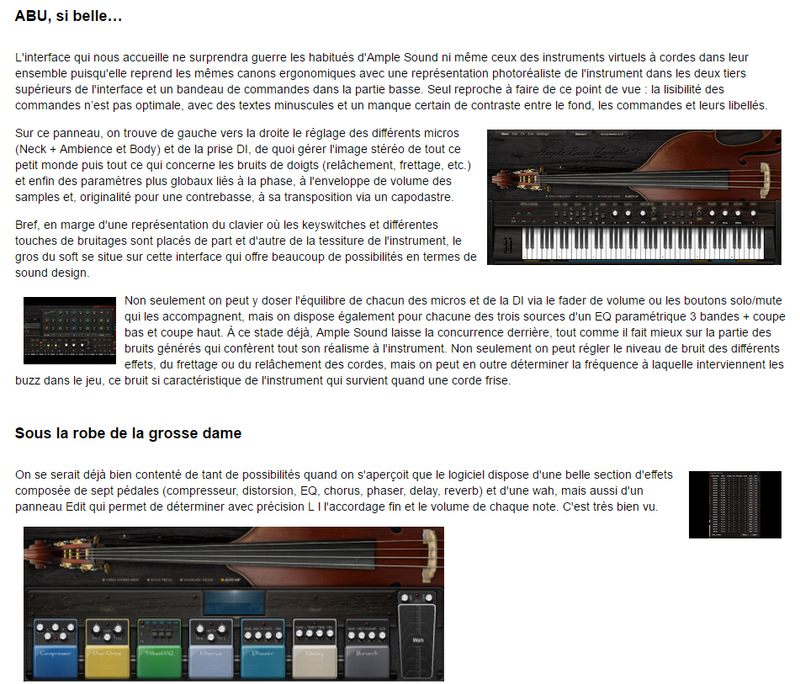 Piano though is possible and with your product the hope of making recordings with guitar on my own opened up again. Big thanks for that to the whole team!